Frankly, I have shied away from Bluetooth headphones for quite some time now. The last time I sported a pair was back in 2007, when I paired my trusty Sony Ericsson W950 with a Walkman headset. The experience was horrific as the headphones combined high price, poor audio output, and unbearable battery life – enough to keep me away from wireless sound for a good while. With the Phiaton offering looking this good on paper, I decided to give it a try. Read on to find out if the headset is as good as its specs suggest. The retail package of the Phiaton PS 210 BTNC is as premium as the headset’s aspirations. Inside the luxurious box, you will find the headphones and a plethora of bundled accessories. They include a pouch, a number of ear tips which include a Comply Foam set, a microUSB cable for charging, and a 2.5mm to 3.5mm audio cable which comes handy if you run out of battery. There is also a neck strap in the box. Overall, opening the headphones’ box gives a feeling of money well-spent. Even the pickiest among you will not find anything to frown at. The Phiaton PS 210 BTNC is undoubtedly a good looking headset. 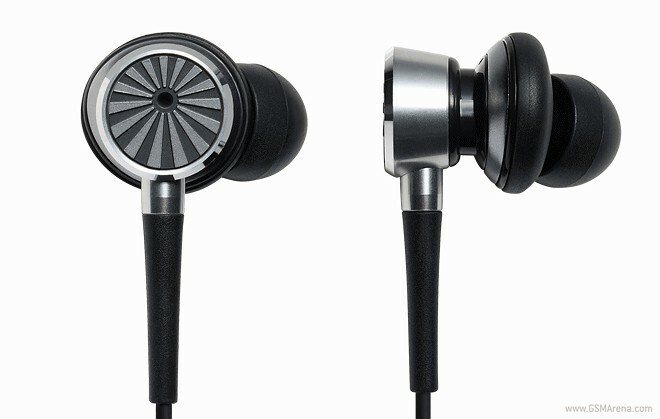 The earbuds are made of machined aluminum, which has a nice textured pattern to it. The control/battery unit of the headphones also has a metal finish on its plastic body. Build quality of the headset is overall good. I did however find the plastic bits to be prone to scratches. This doesn’t affect the headphones’ performance, but could have an adverse effect on their looks. I found nothing to complain about as far as the ergonomics of the Phiaton PS 210 BTNC are concerned. The earbuds fit the ear perfectly, especially with the Comply Foam tips. The clip of the main unit on the other hand is perfect for jacket, coat, or the strap of a bag. It doesn’t fit well with a t-shirt though – you will need the neck strap for that. The headphones have audio controls too. You can change songs, adjust volume, switch noise cancelling on and off. The volume controls are independent with the smartphone’s. Phiaton claims 12 hours of calling time and 14 hours of music playback on a single charge. I managed to squeeze out between 7 and 8 hours of mixed use with the noise cancelling on, which is more than adequate in my opinion. The Phiaton PS 210 BTNC is well-equipped in the sound department. The headset packs a 14.3 mm driver with a frequency range of 15 to 25,000 Hz and impedance of 32 Ohms. The headphones’ sensitivity is 110dB at 1kHz. The sound quality is great given the Bluetooth nature of the headphones. As long as you are well within their range, you will enjoy powerful, well-balanced tunes. In my experience, the noise cancelling feature did significantly enhance the lows in the sound, regardless of the style of music you play. The noise cancelling quality of the Phiaton PS 210 BTNC is superb. The function is controlled by a button, so it is up to the user to switch it on or off. The quality of the phone calls was unsurprisingly good – nothing to complain about here. As far as premium Bluetooth headphones go, the Phiaton PS 210 BTNC is certainly one of the strongest offerings available at the moment. The suggested retail price of the headphones is $159.99, but major retailers such as Amazon, Newegg, and BestBuy offer them at the highly acceptable $129. This kind of cash will get you wireless headphones with truly functional noise cancelling, good looks and sound, as well as a rich set of accessories – a proposal which is certainly worth a second look.